Last edited by andyd on Mon Dec 31, 2018 2:47 pm, edited 1 time in total. As you've taken the time to post two threads, it's the least I can do to comment on both! Andrew 2.8i wrote: As you've taken the time to post two threads, it's the least I can do to comment on both! It's been a long day Andrew. 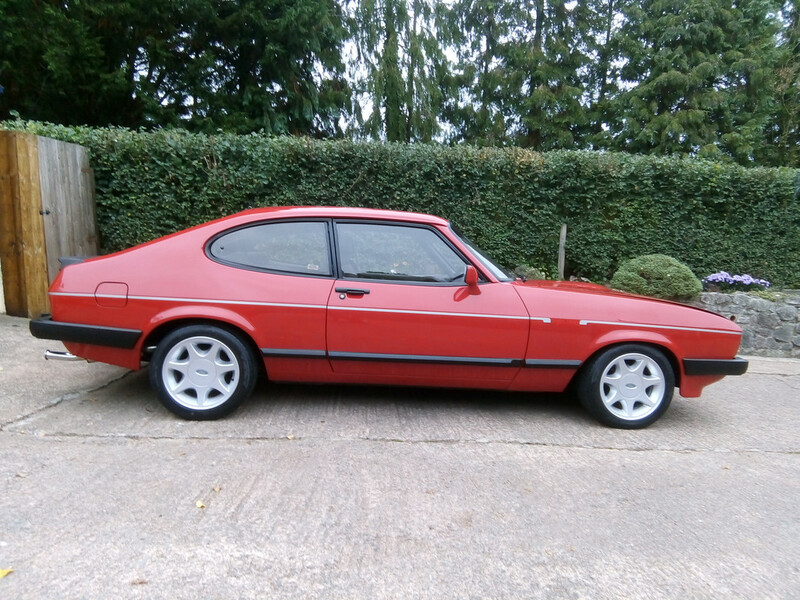 A beautiful looking car, cardinal red really suits the shape of the Capri in my opinion, and you can see that it has a really deep glossy shine. You surprise me by saying that you've had to spend 4 hours cleaning it. I would have thought the Doc would have had it in tip top shape. Obviously his standards aren't as high as yours! Last edited by Andrew 2.8i on Tue Oct 02, 2018 7:12 pm, edited 1 time in total. 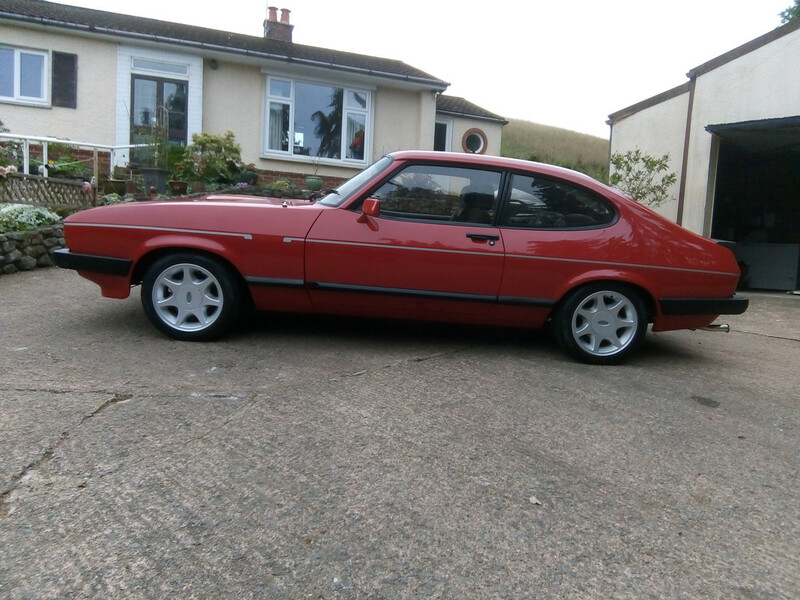 A beautiful looking car, cardinal red really suits the shape of the Capri in my opinion, and you can see that it has a really dep glossy shine. You surprise me by saying that you've had to spend 4 hours cleaning it. I would have thought the Doc would have had it in tip top shape. Obviously his standards aren't as high as yours! A bit of rain in South Wales this morning caused the usual splash marks etc. Congratulations on your new Capri, great example. The first time I saw a 2.8i for real was a cardinal red one back in 83 and yours reminds me of it! Pas28i wrote: Congratulations on your new Capri, great example. I'm made up for you Andy Enjoy. pbar wrote: I'm made up for you Andy Enjoy. In case anyone wonders why I sold the Sierra, I had a detailer come around to look at a small area of paint at the top of the 'A' pillar that was repaired by the longterm owner prior to 2015. It was a fairly good job, but in the right light you could see something had gone on there. Confident he could improve the apperance with a machine polish, he then burnt through the paint Everytime I went to get in it it caught my eye, wishing I hadn't bothered or he said he he didn't want to sort it......Lesson learned!! A roof paint would have been the only option to sort this, but the originality of the car was what I loved about it, so having a roof repaint and the rest of the car factory paint wasn't going to work for me Restored or original is how I like my cars....That's just me. The new owner will have a great car, but it wasn't for me anymore. Nice one Andy, welcome back to the Capri owning fold. 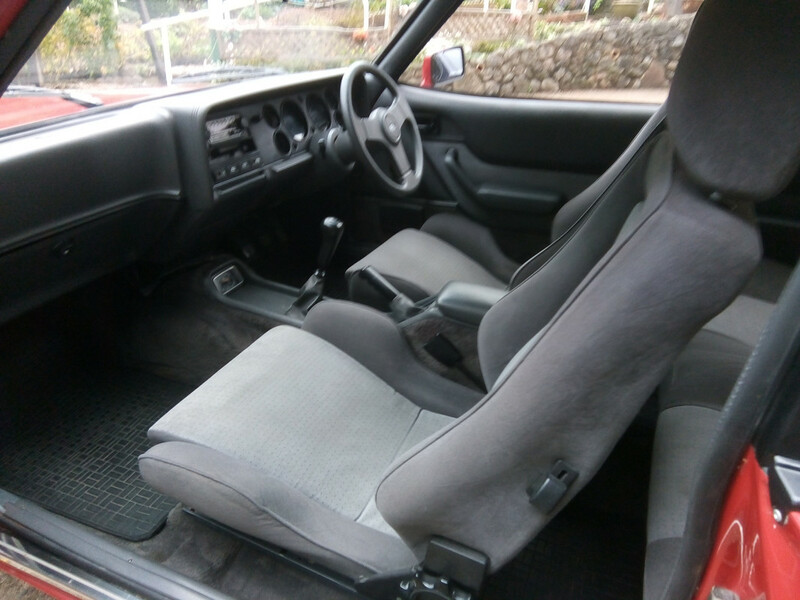 I never thought you would sell the XR4 as that, blemishes apart, was still one of the best about. andyd wrote: In case anyone wonders why I sold the Sierra, I had a detailer come around to look at a small area of paint at the top of the 'A' pillar that was repaired by the longterm owner prior to 2015. I'm just curious then Andy, if you had left that alone, would you still have the car? Glad to have you back from the Dark side Andy! Hopefully the XROC guys didn't take it too badly!? Well OMG I never thought I would read this today , you old dog Andy and I never spotted anything on you know what . That’s a real stunner and as all the members say welcome back to the Capri side . Paul G wrote: Nice one Andy, welcome back to the Capri owning fold. I never thought you would sell the XR4 as that, blemishes apart, was still one of the best about. Thanks Paul, yes it's still a lovely car. D366Y wrote: Glad to have you back from the Dark side Andy! Jasonmarie wrote: Well OMG I never thought I would read this today , you old dog Andy and I never spotted anything on you know what . That’s a real stunner and as all the members say welcome back to the Capri side . Yes I think we are all the same with our cars as it’s good when we all park up together as we treat each other’s cars as our own . Also I would have got shot of your old Sierra when that dog did a wee up the wheel . New toy and new smiles now andy . F#ck me mate ! I go away to Corsica for a week and come back to see you are well and truely back with a Capri !! Just got a heads up from Jason to check out the forum...now !!! Yep Cardinal Red does look superb especially one in this condition. Its beautiful Andy and I wish you many happy years enjoying it. Cant wait to see it in the flesh !! Jasonmarie wrote: Yes I think we are all the same with our cars as it’s good when we all park up together as we treat each other’s cars as our own . Also I would have got shot of your old Sierra when that dog did a wee up the wheel . andyd wrote: In case anyone wonders why I sold the Sierra, I had a detailer come around to look at a small area of paint at the top of the 'A' pillar that was repaired by the longterm owner prior to 2015. It was a fairly good job, but in the right light you could see something had gone on there. I can see why you wouldn't want to keep the Sierra. Something like that would niggle a perfectionist like you and no doubt give you some sleepless nights! 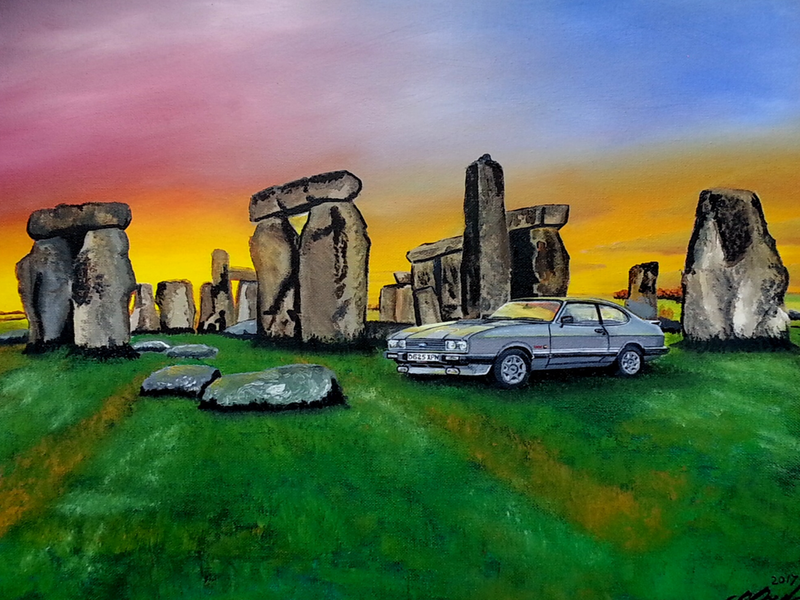 Now you have a car that the good Doc has had sorted...it's a vision of perfection! It's no real consolation, but do you get compensation friom the detailer in a situation like that?